"Ksar Shama offers a luxury Moroccan styled peaceful retreat in the foothills of the Atlas Mountains"
Located at 3000 feet, nestled in the heart of the grand High Atlas Mountains and the beautifully simple, wild and historic Berber Region of Ouirgane, Ksar Shama enjoys a privledged situation. Ksar Shama is at the gateway to the Toubkal National Park, Imlil and Toubkal mountain, and offers spectacular views of the white snowcapped High Atlas Summits. 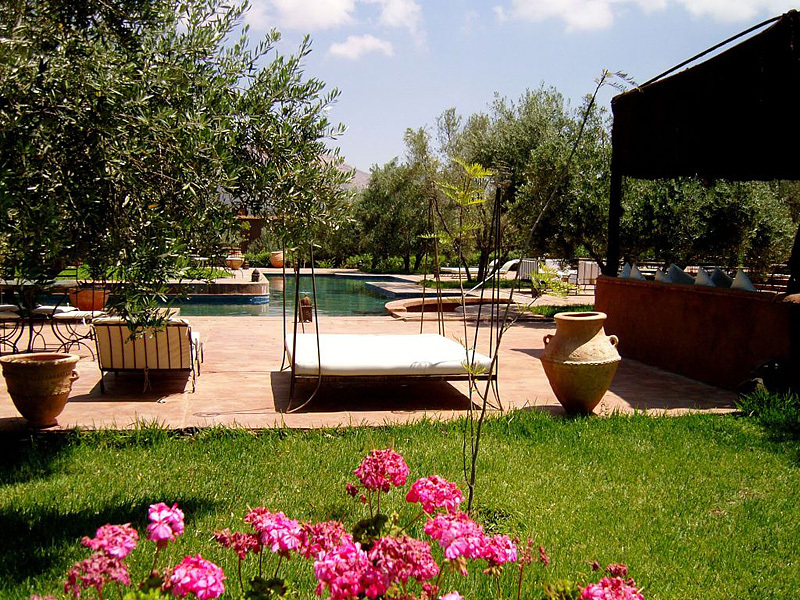 There are 4 basic Ksar (houses) and 17 rooms set in a beautiful 20 acres of amazing landscape planted with olive trees, fruit trees and lush fragrant bougainvillier. 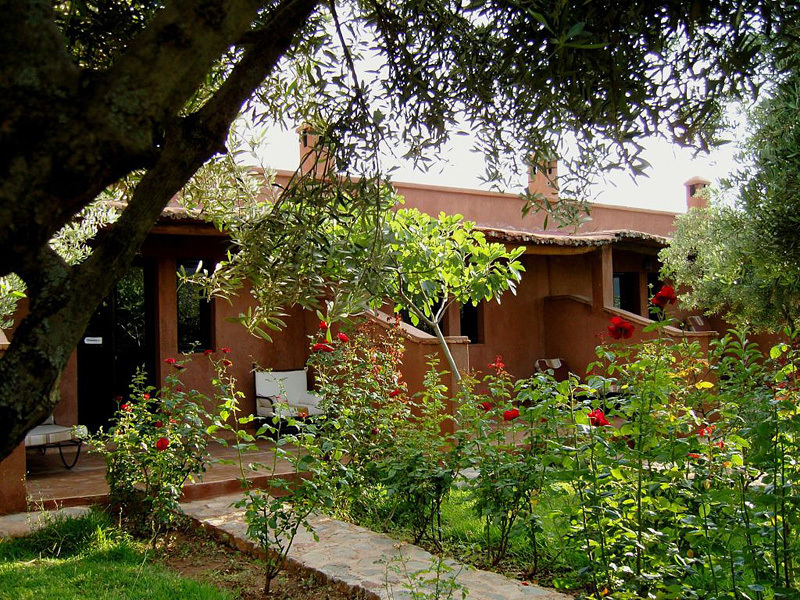 An area of peace and tranquility Ksar Shama is well suited for a romantic getaway in Morocco, honeymoon ideas or as a family holiday in the Atlas mountains to bring close people closer. 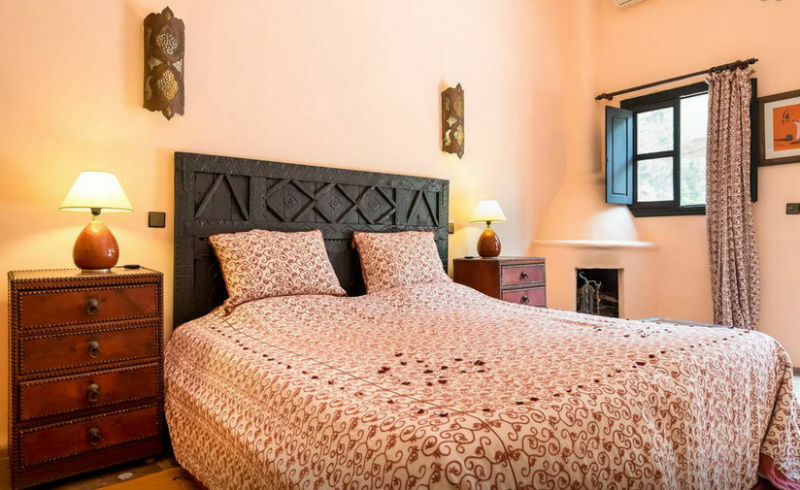 The rooms at Ksar Shama are simple but have been well furnished with a range of original Moroccan and specifically Berber antiques, compiled by the Moroccan owners, giving Ksar Shama a real sense of a luxury Moroccan home. Traditional building craft has been used throughout Ksar Shama with tadelakt interior walls and exterior walls made up of straw, sand and clay. Ksar Shama has a range of communal areas in an interesting Moroccan style accompanied by the large pool with a bridge to its central patio for eating, sunbathing and deep relaxation. The beautiful and authentic onsite spa at Ksar Shama offers a range of professional services to make your stay at Ksar Shama humble and tranquil. Traditional Moroccan fused with international cuisine dishes that change daily with the option of well presented spacious or more intimate dining areas of your choice. The produce is all fresh and well crafted by Ksar Shama’s talented chef. Caters for any special requests, a good range of dining areas, breakfast at the time of your pleasing. Guided trek in the Ouirgane Valley through Marigha guests can admire the rich red landscape below littered with ancient olive trees. Lunch is had in a local Berber household at Tighfist village located at 1220m passing through the old original and historic Jewish village of Anraz and Toroud village. A taxi journey to Tin Mel, and the UNESCO World Heritage Tin Mel Mosque, which is considered as the cradle of the Almonad Empire from where they started their military campaign against the Almoravids in the early 12th century. With the seizure of Marrakech in 1147, Tin Mel became the spiritual and artistic capital of the Almonad Empire and is home to the tombs of its great leaders. "My daughter and I escaped the hype of the Medina in Marrakesh, where we were staying with family and a French friend, who owns a Riad there, for the contrasting peacefulness of an overnight stay at Ksar Shama. It was a wonderful break in a stunning setting. 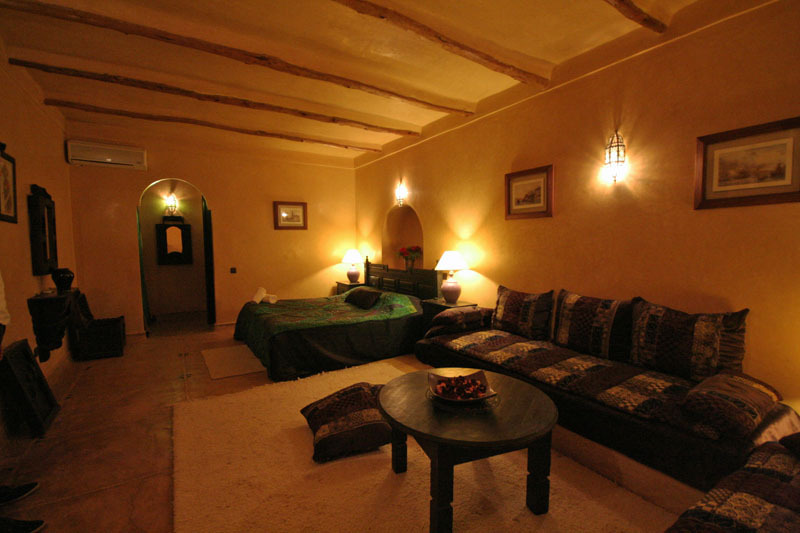 The accomodation was spacious and furnished in rich Morrocan colours and authentic Berber style. As vegetarians we were more than ready for a change from Vegetable tagine! The Italian chef, who also cooks traditional Moroccan food, made delicious home made Gnocchi with lemon, olive oil and herbs from the garden, also a wonderful cream of courgette soup and some other vegetarian savoury dishes. We found the staff very friendly and helpful. In the afternoon we both enjoyed a relaxing massage in the Hammam. 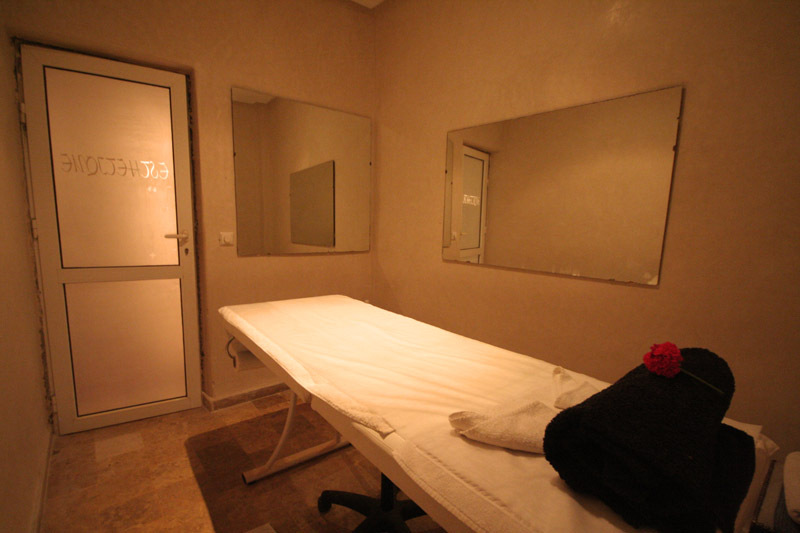 The therapist used local Argan oil and a very luxurious blend of essential oils. The next morning we went for a mule ride in the foothills of the Atlas mountains, which would love to do again. "We have travelled extensively and this was without doubt one of the most perfect beautiful holdays we have ever had. 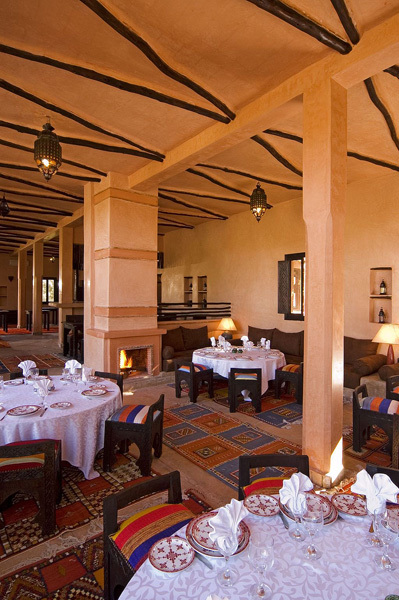 The location is beautiful and wonderful, peace, harmony wonderful service, the hotel is beautifully and tastefully designed and stays happily within a traditional and natural Morrocan aesthetic. 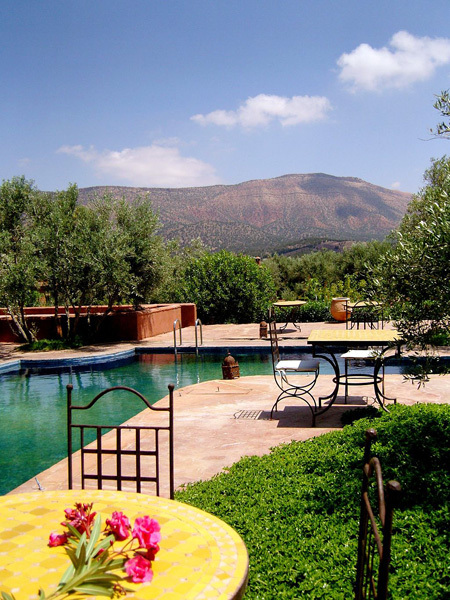 This is a perfect place for people who want a lovely comfortable hotel surounded by beautiful gardens and the wonderful Atlas Mountains." 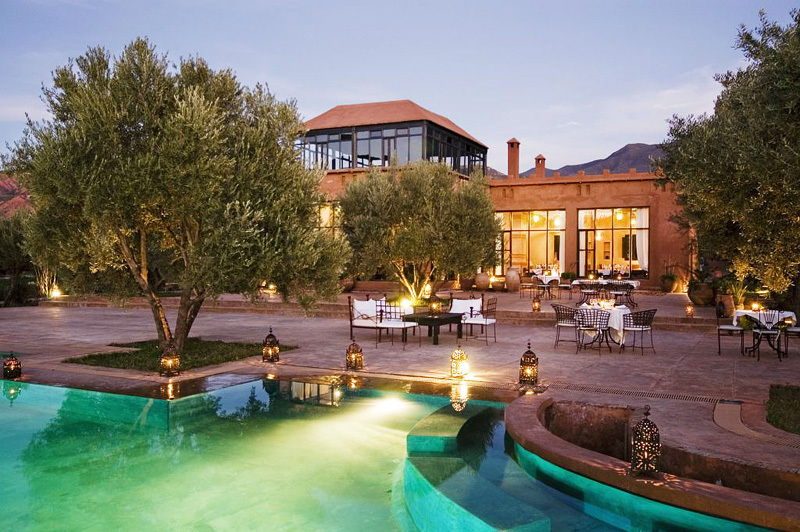 Nestled among the foothills of the High Atlas Mountains 4km from the beautiful and simple Berber town of Ouirgane, or a 30 minute drive to the winter ski resort of Ouikamden or Imlil, the gateway to the highest point in North Africa. 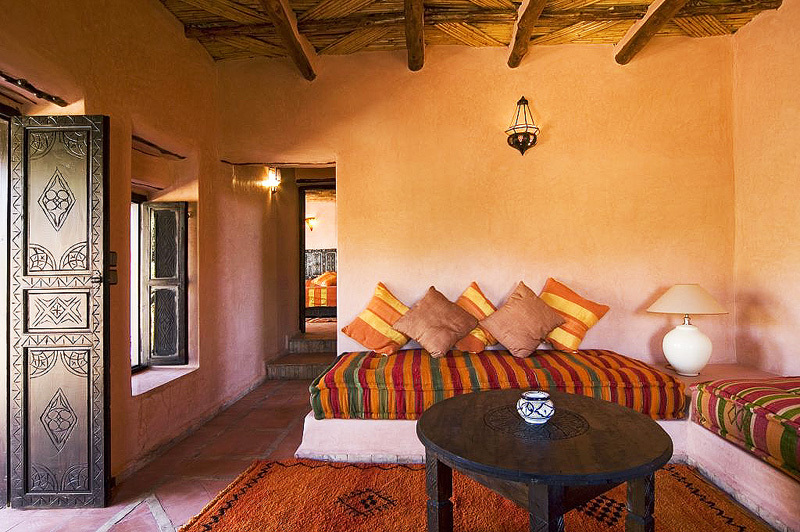 The 6 Standard rooms at Ksar Shama are built in the traditional way (Adobe wall, Tadelakt, wood log ceiling) and are nicely decorated with Moroccan fabrics, and they all have air-conditioning, a fireplace and a private terrace. 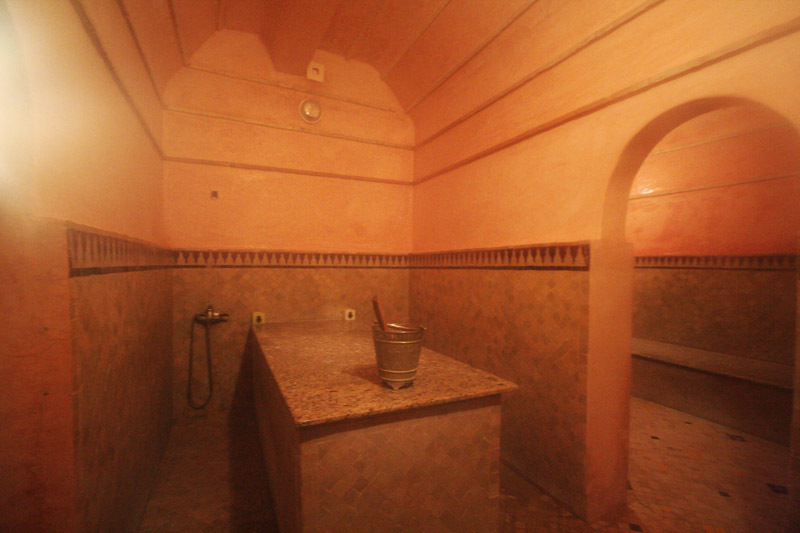 The bathrooms are simple yet traditional Moroccan luxury offering showers and Berber styled wash basins. Complete with air conditioning, central heating, and hairdryer. 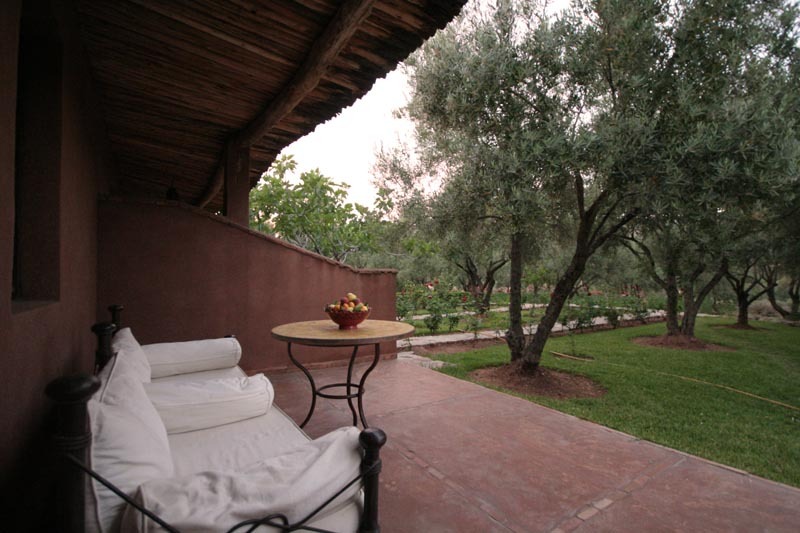 The 4 Superior rooms at Ksar Shama have good sized public porch seating areas set among the olive tree orchads. 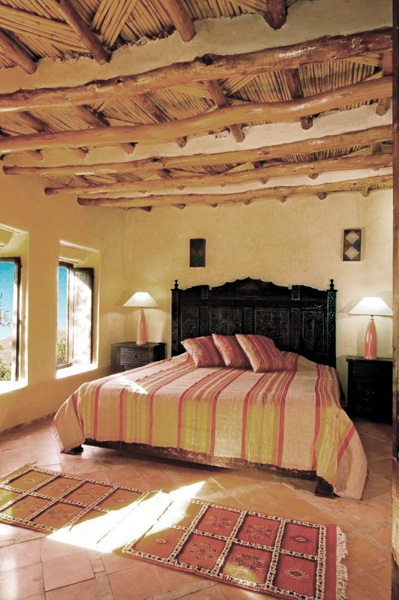 Rooms have a Moroccan styled benched seating area incorporated into the bedrooms. The large bed, fireplace and antique Berber furnishings give the superior rooms at Ksar Sharma a cosy intimate feel. 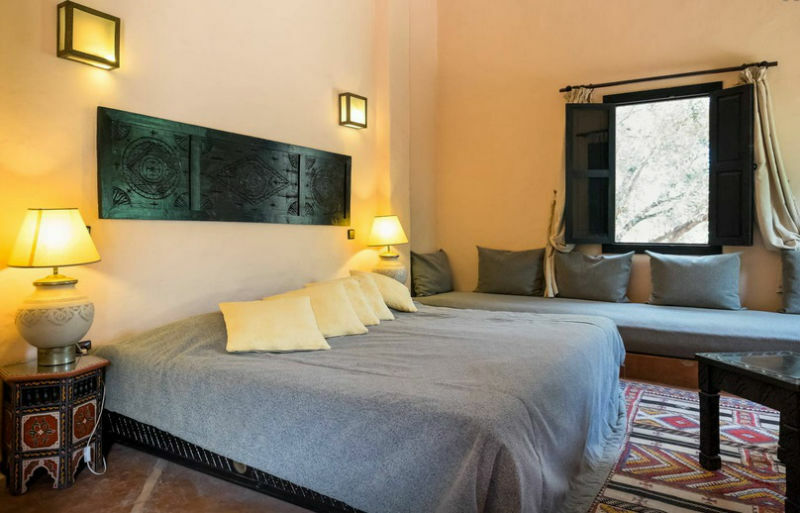 The 6 Junior Suites at Ksar Shama are crafted in a simple Berber style with a large double bed or twin beds and have a small seating bench area accompanied by working fireplace and large rugs for a cosy winters evening among the High Atlas Mountains. 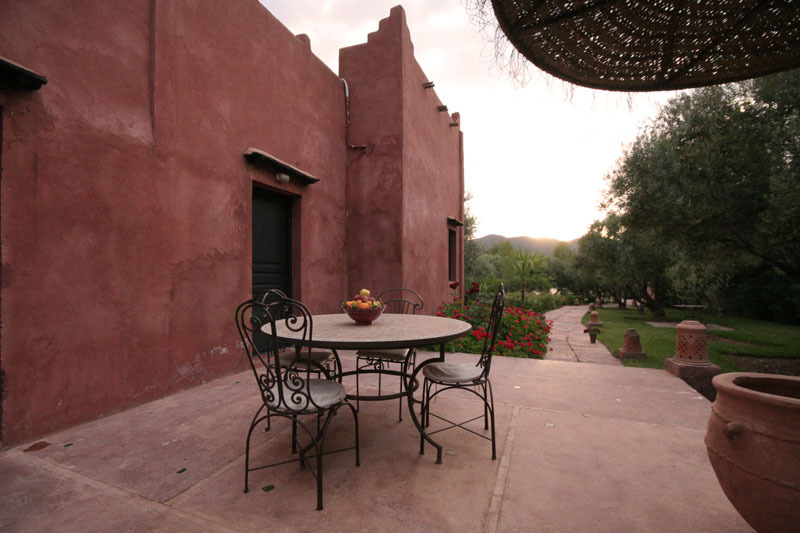 Furnished with an array of original Berber antiques, complimented by the secluded front porch areas which open onto olive and fruit tree orchads, and views of the mountains. The Junior Suites at Ksar Shama have humble bathrooms with showers. Complete with air conditioning, central heating, fireplace, and hairdryer. The Kasr suite 1 has a large salon seating area with working fireplace and traditional Berber rug. 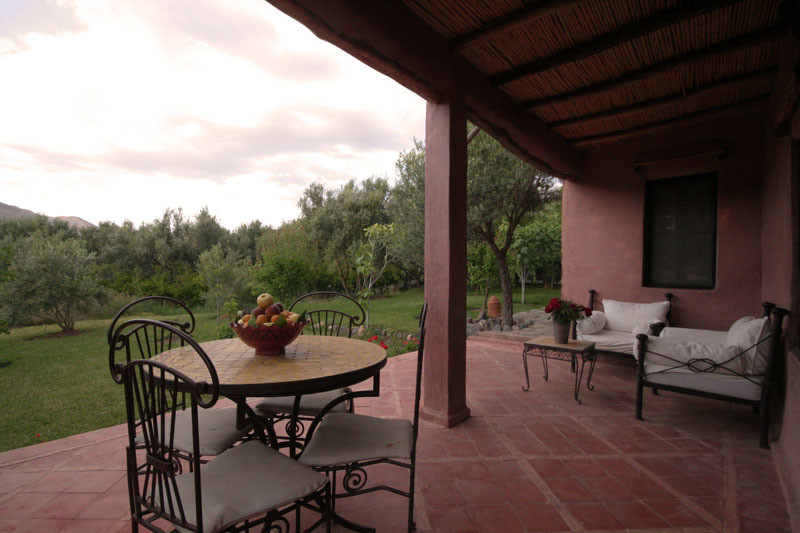 This opens out to a private patio area with seating and small fruit tree orchard plus wonderful views of the High Atlas Mountains as a backdrop. The separate bedroom has an extra large double bed with a tent styled fabric draped ceiling giving an authentic Moroccan feeling. 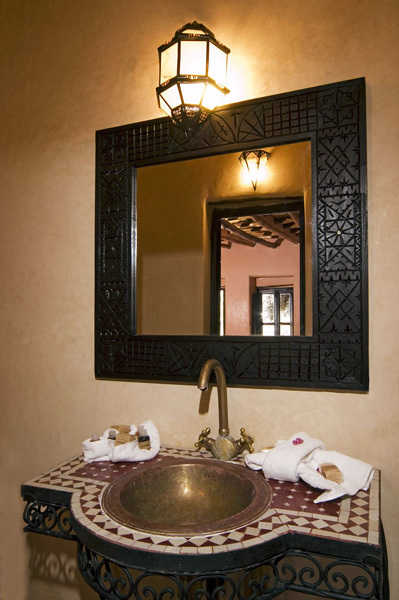 The bathroom of the Ksar suite 1 is simple yet quaint and inviting with a bathtub and Moroccan styled wash basin. The Ksar suite 1 can be made up as a double or twin. 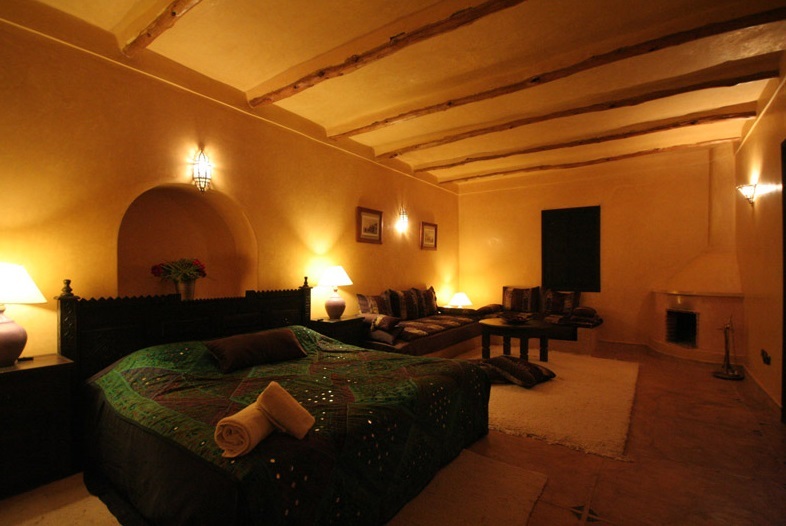 The Ksar suite 2 at Ksar Shama comprises of 2 bedrooms which adjoin, each with either a large double bed or twin beds. The suite has an ensuite bathroom with bath and shower. 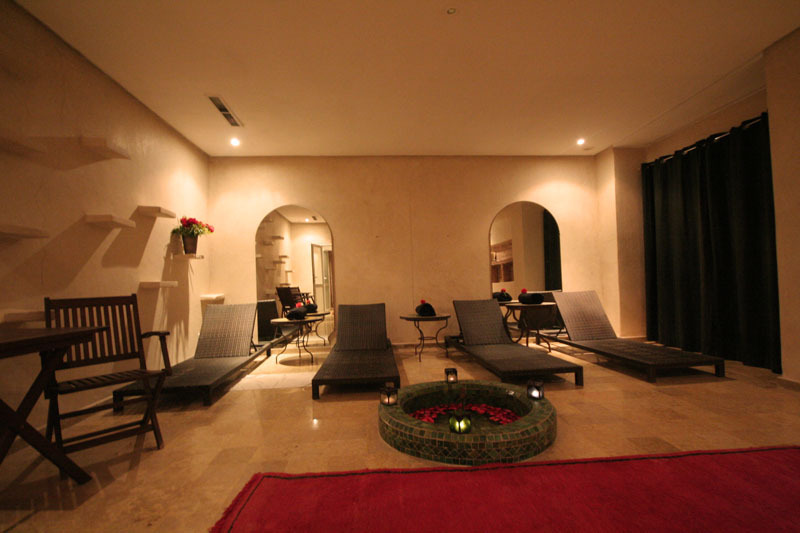 The separated salon seating area has an fireplace and large rug for cosy intimate evenings as a couple or group. 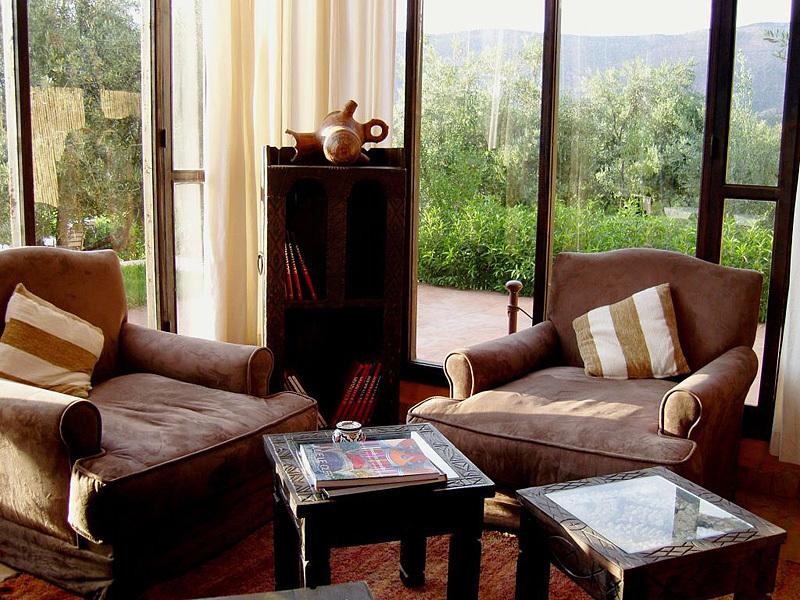 The Ksar suite 2 at Ksar Shama has a private terrace with small seating area, which looks out to the rest of Ksar Shama and the High Atlas Mountains beyond. The Ksar suite is perfectly suited for family holidays in Morocco or as a spacious romantic getaway where guests are free to relax deeply in Moroccan luxury. Complete with air conditioning, central heating, fireplace, private terrace, and hairdryer. Max Occupancy 4 adults + 1 baby (0-2yrs in cot free). 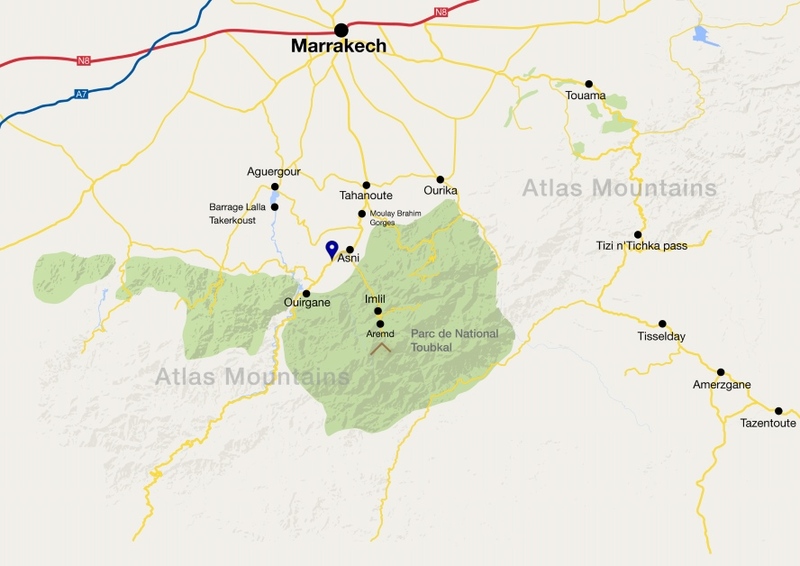 The base rate price at Ksar Shama is in pounds, euros, or Moroccan dirhams and exchange rates are approximate.